This unisex design Midnight Bloom navy dog collar features fresh and pretty winter blooms. One of the most unique floral designs we have seen in a long time. Simply gorgeous. 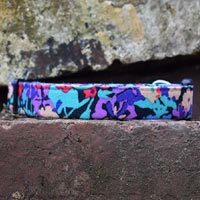 We know you are going to love this unique collection of beautiful British handmade dog collars and leads in a gorgeous range of colours and designs. If your dog loves to set trends and wear something unique and snazzy, look no further. Woof! 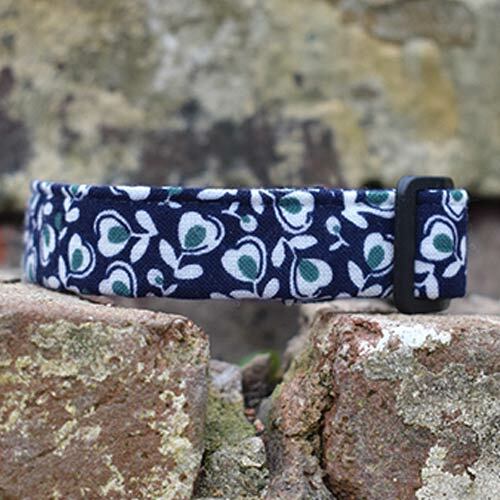 Each collar and lead is lovingly handmade in Devon to the highest quality from some of the most wonderful fabric designs you will find. 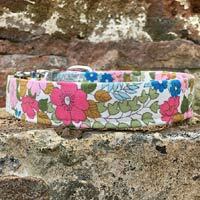 Nominated for the Make It British Top 20 Dog Accessories Brands. 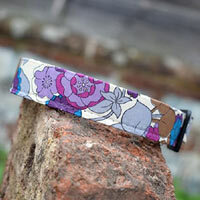 The patterned outer fabric is cotton, strengthened inside with a strong nylon webbing core. 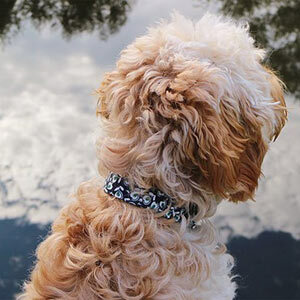 The collars include a lightweight plastic slider and contoured buckle for comfort but these can be upgraded to a contoured chrome buckle and slider if you prefer (not suitable for size Small Narrow). 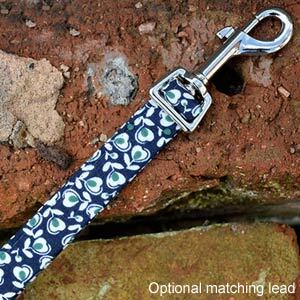 The optional matching lead is 110cm long x 20mm wide. It features a reliable, reinforced chrome trigger clip for easy attach/release. * Guide only. Please always measure your dog. ** Due to its size and weight, the optional metal buckle is NOT suitable for this size. If ordering the Small Narrow collar, please keep the standard plastic buckle and slider option selected. Colours may run. Hand wash only using a mild detergent and lukewarm water. Air dry only (do not tumble dry).